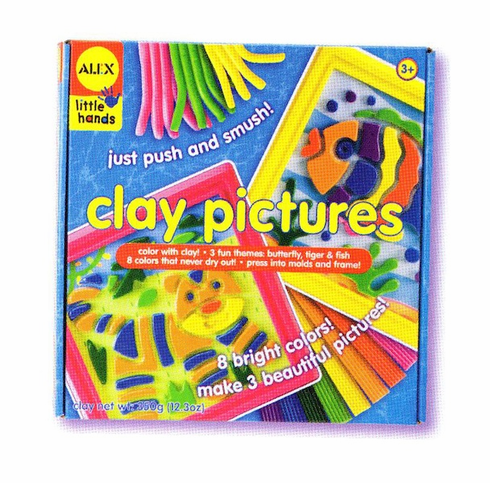 Color with clay. Just push and smush. Eight bright colors of clay that never dry out. Also includes three 3-D pictures, 3 picture frames, 3 preprinted background cards and easy instructions.